Mortgage rates are at an all-time low, but don’t rush into refinancing just yet! Take the time to see if refinancing is right for YOU, right now. Ask yourself these questions below, and you’ll have a better idea if you’re ready to refinance. Remember to always consult a financial advisor before making any decisions. Most lenders want to see at least 20% in equity to allow you to refinance. So, if you don’t think you have the equity or don’t have the money to put down, then stop right here, refinancing is likely not an option for you right now. What type of credit score do I need? Lenders have gotten MUCH tougher and most banks expect a FICO credit score of at least 620 to refinance. You’ll need to prove that your household finances haven’t changed much and you have a good debt-to-income ratio. 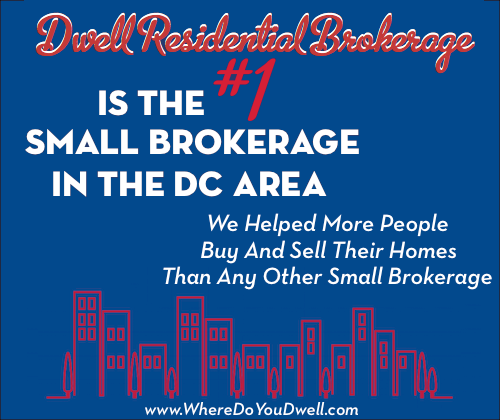 Only some borrowers will qualify for the best deals on the current market. What factors could affect my ability to refinance? To qualify for refinancing, you need all your “ducks in a row” so to speak. Here’s a quick rundown in addition to your credit score: you must have adequate home equity or loan-to-value ratio, sufficient income that hasn’t changed much since the last time you took out your mortgage, stable employment for the past two years, sufficient asset reserves (checking and savings account, stocks, bonds, retirement accounts). Always make sure you tie up any loose ends such as unpaid bills and liens, etc. so you don’t get any surprises. It’s not free to refinance so focus on the costs that accompany refinancing, which can eat into any money you saved with a lower mortgage rate. On a $200,000 mortgage, refinancing could cost around $4,000 … an average of 2% of the new loan amount. Get written estimates so you can compare each lender’s costs. What type of costs and fees will I need to pay? Refinancing costs include appraisals; inspections; application, underwriting and processing fees; and even a penalty for refinancing too early on your original mortgage. Plus, don’t forget there are closing costs! These may be rolled into the loan, but many financial experts advise against it. To avoid setting up an escrow account along with its fees, stick with the same lender who originated your initial mortgage. They may even offer an expedited process too. Given where interest rates are today, most experts say only consider refinancing if you get a minimum two percentage points difference in your rate. If your current rate is already low, then talk with a lender, do the math, consult a financial advisor. In the long run, it may be not worth the cost to refinance. Rates vary widely and are based on your FICO score and even what state you live in. Look at a variety of lenders. Some lenders have even increased fees to cut down on the number of applications and make more money on each transaction instead. 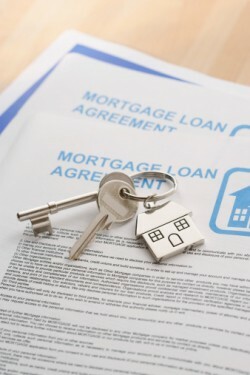 So tread carefully and use a mortgage broker who could help you find a reputable lender. Make sure you get estimates from different lenders. If you think you’ll be moving sooner than you think, then don’t refinance. Even though you will save money on your monthly payments with the lower interest rate, it may take a while to actually recoup the cost of the refinancing. Do the math and see how long it takes you and make sure you plan to stay in your home that long. It really depends on your goal for refinancing. If lower monthly payments and more cash flow are your priorities, then don’t be too concerned that you’ve stretched out your payments over a new 30-year loan. However, if you’re more concerned with equity and saving money on interest payments, then go for the shorter 15-year loan if you can swing the higher monthly payments. Today’s super low rates have seen an uptick in 15-year mortgage refinancing. If you already have an adjustable rate mortgage and plan to live in your home for only a year or two, don’t refinance since chances are you loan is adjusting to today’s very low rates. However, if you plan to live in your home longer than 5 years, you might want to lock into a fixed rate. Most borrowers opt for traditional fixed loans for the stability and current low rates. The Obama Administration came out with a program that would make it less expensive to refinance for certain borrowers with mortgages backed by the Federal Housing Administration. However, you may not be able to shop around for the best interest rate since many banks say they will only service those that already have such a loan with them. Another requirement for the program is that only borrowers with loans that were originated on or before May 31, 2009 are eligible. Those that do qualify, can save up to $1,000 a year on the fee reductions (not including any savings from a lower interest rate). I’m underwater, what are my options? If you’re underwater, you won’t be able to refinance your loan unless it’s owned by Freddie Mac or Fannie Mae. You’ll need to check out the Home Affordable Refinance Program to see if you qualify. Refinancing can be frustrating and confusing but the time involved and initial costs may be worth it for you in the long run. Please call, text or email me if you have any questions on refinancing.